Zoosk is an online dating service (Website and App) available in 25 languages and in more than 80 countries. Zoosk uses an exclusive Behavioral Matchmaking Technology that finds great matches based on preferences and behavior. In case you deactivate Zoosk account permanently then you should give up all your subscription, all your contacts and matches will be deleted. 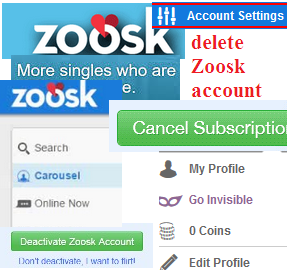 If you are a subscriber and would like to deactivate or remove your account from Zoosk, you need to cancel your subscription first. Open ‘App store’ from your iPhone/iPad menu. After that, tap ‘Featured’ from the menu and scroll to the bottom. Select Apple ID: Your Apple ID. 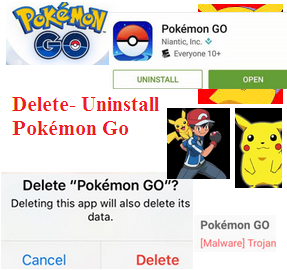 A pop-up window will appear, tap on View Apple ID. It may ask to sign in. Enter your password and sign in. Scroll down and select ‘ Subscription’. From app subscription page select Zoosk. Tap on the toggle switch to turn off. You’ll receive a confirmation message. Select Turn off. You need to login to Zoosk.com. Click on the blue profile icon on the top tight hand side of the web page. Scroll down the page and look for "Account Status" and click on the blue "Edit" link. Then on the left hand side of the site click on "Subscription". Next click on "Cancel My Subscription" and follow the directions on the screen to cancel your paid recurring membership. Note: *If you deactivate your account, your profile will not be visible to other members. If you want to return to Zoosk in the future, you can reactivate your account by logging in to your account using your email address and password.